There is no gift greater to teachers than the gift of time. If you are in the field of education then you know how valuable a teacher’s time is. Teaching is like no other profession. Trying to model education as a business is just not reasonable. What other profession do you have up to 30 clients in your office each day for 7+ solid hours? Teaching is a human system and we need to respect teachers’ time to show them they are valued professionals. Often it is just a luxury to find someone to cover your class while you make a quick visit to the restroom. And much to the surprise of those that work in the corporate world, teachers do not even get to leave the building for a lunch break. Even though many state statutes guarantee a duty free lunch, the reality is, scheduling only allows that to be their planning time. Lunch is much of the time right in the school cafeteria monitoring their class. Teachers hit the ground running each morning and are lucky to get a daily 45 minute planning period, even still those planning periods may have a dictated protocol often filled with staff development or meetings. Teachers work long hours and many take work home with them. 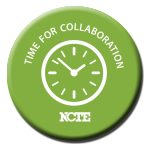 This article isn’t about creating time for Professional Learning Communities (we created another page for that)! It is about the little things you as a principal can do on a regular basis to let your teachers know that you understand the human side of teaching. It let’s them know you are mindful of all the little things they do and gives you ideas for giving them the gift of time. The gift of time is one of the best morale builders you can give to your teachers. So how can you give your teachers the gift of time? What are some creative things you can do as a principal or school leader to give the gift of time to your teachers? We have a list of ideas that you can implement right now! 1) The first thing you can do for your teachers is protect teacher workdays. When I say protect these days, protect them by letting your teachers to decide how to use them. Teachers have so much pushed down on them by their school, district and state. When there is an optional teacher workday and you as a school leader decide to let it be optional, then you are making the important decision to treat your teachers like professionals by giving them an opportunity to use that workday for time in their classroom or time to take care of things at home, so they can be more effective in their classroom on mandated days. Teacher workdays are typically built into your district’s yearly calendar and if they are not mandated time, let your teachers decide if they want to come to school land work or not. Giving your teachers the power to decide how to use the days will go a long way in building morale at your school. 2) Fund a substitute for each grade level once a quarter (or once a semester) for a grade level planning session. Creating this time for your teachers to collaborate (think PLCs) and plan out the quarter will help them get their lesson planning on the same page. It will also help them to focus on the teaching and learning for the upcoming quarter as opposed to the planning. This is a great time to look at scope and sequence for the upcoming quarter. 3) Have your auxiliary teachers host a half day special event once a quarter and let them be responsible for “duty”. We started with a quarterly full length movie day for our students. Each quarter the specialists would host the event in our “cafegymatorium”. They would set up chairs and pop popcorn. They would select a G rated movie (non Disney of course until PTA purchased a license) and show to our students. Later we strategically scheduled assemblies guest with a special during this time. The regular teachers would drop the students off and enjoy additional planning that day. We always scheduled it at the end of the quarter when grades were due. 4) Give your teachers a break at lunch. Use your assistants to cover lunch. If you can’t do it every day, try once a week. We also allow teachers an “order out lunch” once a week. One teacher per grade level or department takes the order and goes and picks up lunch for their team that day. “Lunch out” is an important way to help teachers feel part of team that honors them as professionals. 5) If you are overwhelming yourself and your teachers with meetings, align regular meetings to one day a week. For instance if Tuesday is the selected day, make the first Tuesday of the month your faculty meeting, the second Tuesday of the month committee meetings (have teachers serve on one committee only), the third Tuesday of the month is reserved for Intervention Meetings, and the last Tuesday of the month is School Improvement Team meeting. Then your teachers can plan parent meetings and offer after school tutoring other days of the week. 8) When your teachers show up to more events than they are required, offer trade time vouchers. We also use this as a way to recruit help in the summer for special projects such as extra secretarial support, cleaning out book rooms, etc. Yes PTA and meetings are part of their job, but when a principal offers trade time, morale begins to rise! Consider a literal gift of time by GIVING each staff member four hours of trade time at Christmas and Valentines. Listen, life happens to all of us and a teacher knowing that she has some time in her pocket to get away for a doctor’s appointment or meeting at her child’s school is going to make you as principal a considerable hero when she knows that time was a gift from you! In addition to trade time, simply call it a week on Fridays…make an announcement at the end of the day that the parking lot is being painted and all staff must leave the building as soon as their duties supervisng students are over. This might mean techaers get to leave campus 15 minutes ealry on Friday and that in and of itself is a huge morale booster to teachers and doesn’t cost you as an administrator one dime. Use this as a tradition on the day before school gets out for a holiday too! 9) Some teachers stay at school and work late every day while others are extremely efficient and can get things done during their day at school. Be cognizant of this and don’t make the mistake of misjudging teachers that leave on time each day. Some are just better time managers than others. But don’t make the mistake of holding your teachers “hostage” at the end of their day by making them individually hold students until the final bus has arrived. Find teacher assistants or other ancillary staff to hold your students while they waiting for buses or their ride home. Giving teachers 15 minutes or more at the end of the day to catch their breath, make copies, prepare for the next day, etc is an important way to build morale and show them you value their time. 10) Finally, publicly reward teachers who have perfect attendance each quarter with old fashioned cake walks or gift card drawings. It may be their job, but it is rare these days to find teachers with perfect attendance, they should be recognized! Making the effort to recognize TIME as a gift will really help you as a school leader build morale as well as create a positive culture in your school.